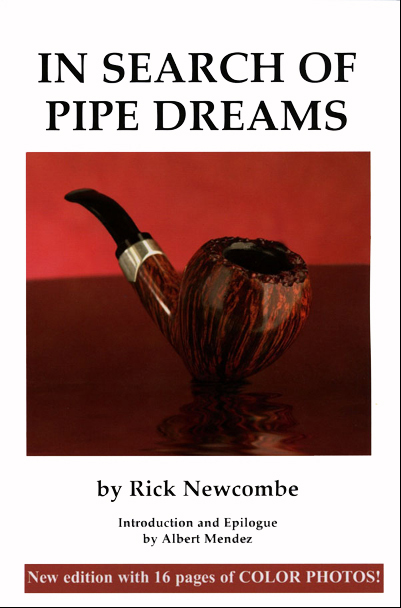 Rick Newcombe has collected here in 267 pages, all of his writings on pipes and tobaccos, covering articles previously printed in Reason, Pipes and Tobaccos, Pipe Friendly, The Pipe Collector and The Pipe Smoker's Ephemeris, as well as new material never before published. Mr. Newcombe writes in a unaffected, unpretentious style that is a delight to read, and touches on many aspects of pipe smoking and collecting, from Pipe Shops In Europe to Breaking In A New Pipe. This is the new Sixth Printing, including new photos, a new cover and some new content, plus sixteen pages of new color photographs by famous LA based photographer Robert Gardner. When we wrote the above review in 2004, though we loved the book, we had no idea what a huge success Mr. Newcombe's book would become. By number of copies, it has sold far more than any other book we carry. Nice writing style. Reminds me a bit of Rick Hacker. I was happy to find mention of a pal of mine in one of the chapters. Worth the money.